This was our third project for this client in San Francisco, California. 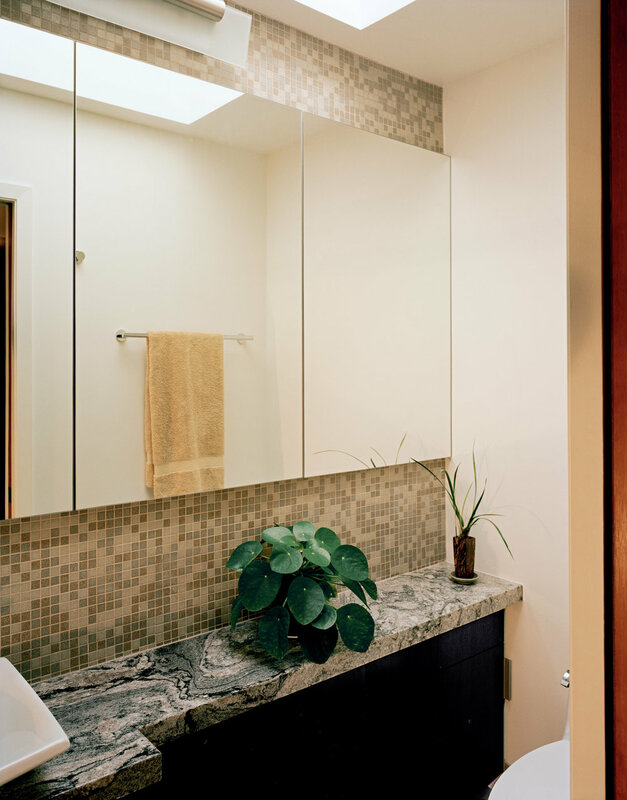 In this project, we remodeled the master bathroom and the guest bath. 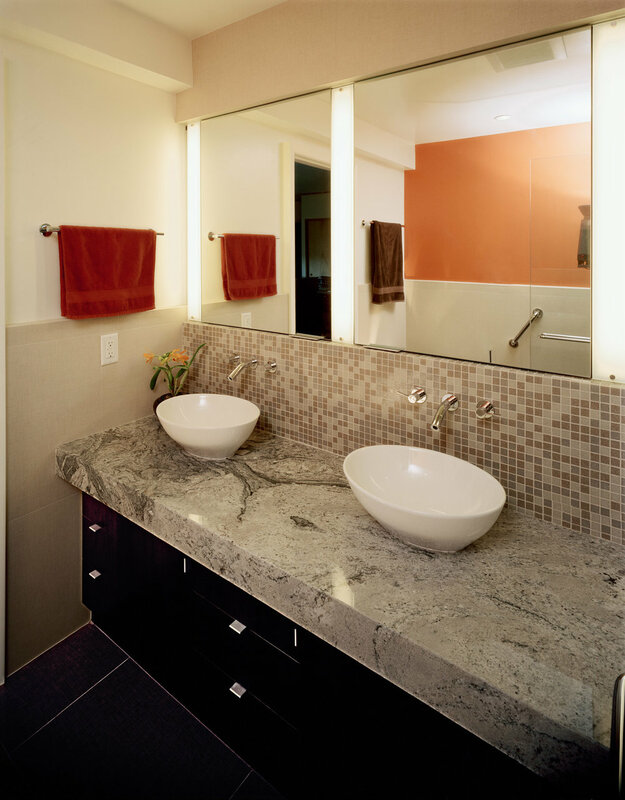 The master bathroom features a very large walk-in shower and a generous vanity space with vessel sinks over a granite counter top. This very custom design pays careful attention to all of the finish details. The final project has a very clean, modern, contemporary design.